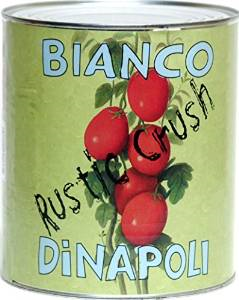 James Beard award winning restauranteur Chris Bianco and 3rd generation tomato processor Rob DiNapoli combine talents to create this unique, 100% organic tomato. Freshly picked California tomatoes are steam peeled and crushed within hours of harvest. A dash of Pacific sea salt and fresh organic basil are added to deliver a ready to use organic tomato sauce.